Daily Debate: Are There Any Life Lessons The Zelda Series Has Taught You? For all the praise and recognition the Zelda series receives for revolutionary gameplay, music, and story, what about the life changing lessons embedded throughout the games? Many fans have defining moments in their Zelda playthroughs, whether it’s learning the mechanics of a certain boss, or being heartbroken by the main and side characters frequently and with seemingly great relish by Nintendo if you’ve played Majora’s Mask. The idea of absorbing “life lessons” is somewhat deeply ingrained in the main character himself. Link often portrays traits that many aspire to in their lives such as dedication, hard work, and determination in spite of overwhelming odds. I constantly look back at my first time playing Ocarina of Time and am reminded how at eight years old I’d already had several traumatic experiences but found strength and courage in facing them down when I saw Link, an anagram for myself at the time, doing the same. 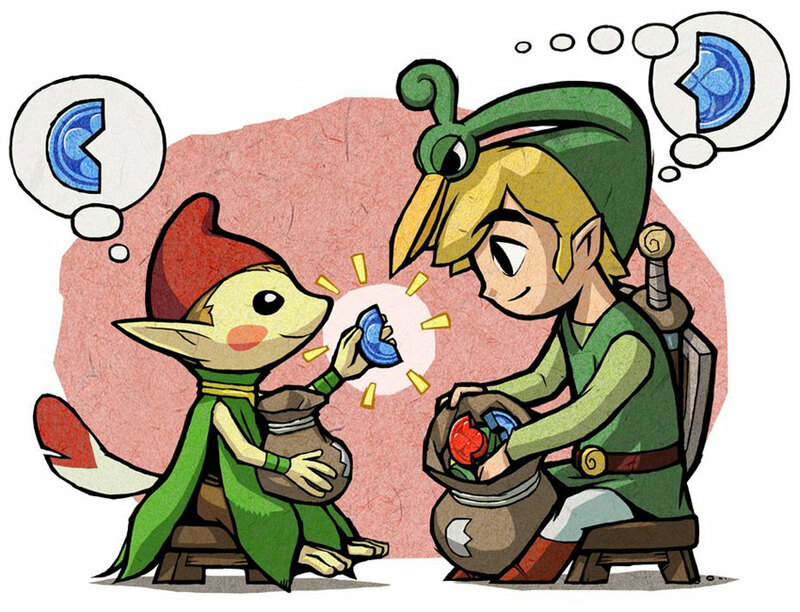 Though the trait of helping others is prevalent in every incarnation of Link, I feel it is most personified in his quests during The Minish Cap and Majora’s Mask. In both of these titles, a great majority of what Link does has only an indirect relevance towards stopping the Big Bad Evil Jerk. For example, finding all those kinstones and bringing light and joy to the Minish doesn’t really affect Vaati and Link’s quest to stop him a good deal of the time. Rather, much of what he accomplishes is lightening the burden that Vaati’s actions place on the world. This is almost the quite literal interpretation of what happens in Majora’s Mask. With the eponymous villain having ruined pretty much everybody’s life personally in Termina, Link is more often saving these people’s hope and rectifying what Majora already did rather than combating him directly. Granted, until you face the evil of the mask itself, the people are doomed to re-experience these events over and over. At the end of the day, we want to hear what you peeps think! Are there any life lessons that the Zelda series has imparted to you? Struggles it has given you the key to overcoming? Share your experiences with us in the comments below!